The preschool campers at HALB’s Avnet Country Day School will be having sweet dreams this summer. 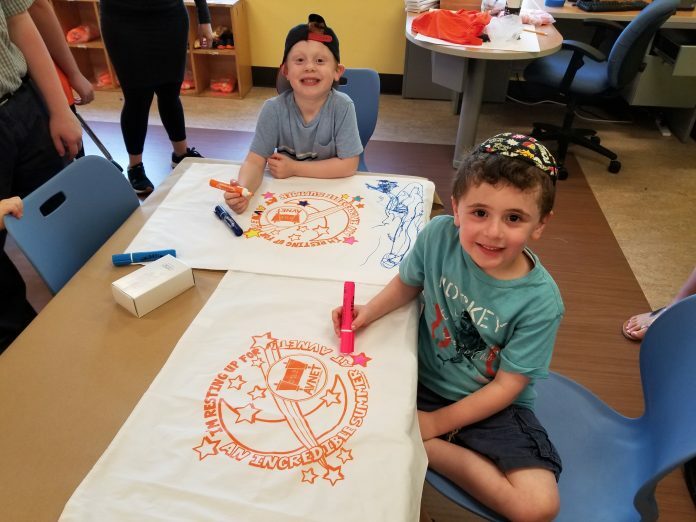 Children in the Tipot division put their artistic skills to good use when they decorated special Avnet pillowcases as part of their pre-season orientation. Each camper left with a cuddly keepsake to place on their beds as a reminder of the fun they will have every day at camp. Now they just need a good book and a bedtime hug!